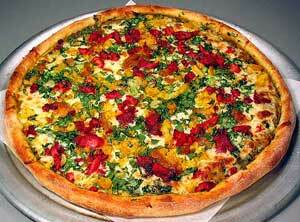 New Daal makhne Pizza vegetarian. 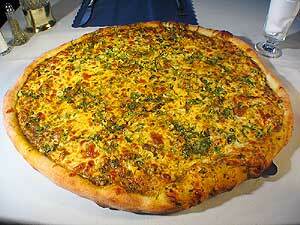 Toppings:cooked creamd lentils,garlic,Ginger, celantr and 100% mozzarella cheese. Topped with Spinach, Egg Plant, Cauliflower, Ginger, Garlic, Green Onions & Cilantro. Mushrooms, Onions, Bell peppers, Black olives, garlic and fresh tomatoes.